“Yokai” is a class of supernatural monsters in Japanese folklore, ranging from mischievous creatures to those who bring good fortune to those that prey humans and hurt them. However, there was a time in the 20th century when they were forgotten, a part of the Japanese culture that was ignored. Or it would have been, if it wern’t for a manga that reintroduced them to the mainstream radar. Shigeru Mizuki (real name Shigeru Mura) was born in 1922 in Sakaiminato. As a child, he was fascinated with the yokai legends, told to him by an elderly woman living nearby. During the World War II he was drafted into the Imperial Japanese army, stationed in Papua New Guinea. During an air raid, he lost his left arm during an explosion. Being a southpaw, he was forced to learn how to draw with his right arm. Returning to Japan after the war, Mizuki struggled to make a living, working as a movie theater projectionist. He made his manga debut in 1957 with Rocketman, which was distributed as a “kashi bon”, a type of rental manga that people could check out for a small fee. His most famous creation debuted in 1960 under the title Hakaba Kitaro (literally Kitaro of the Graveyard), again released as a kashi-bon. That proved to be his most popular work. Kitaro is a yokai, the last of his kind. His mother, already dying, died giving birth to Kitaro. His dad was already dead, but his spirit wanted to keep an eye on his child, so he was reincarnated as his left eyeball, the only body part of his not decomposed. Kitaro himself is missing an eyeball, having been poked out when he was a newborn, hence he let his hair grow long enough to cover his missing eye. 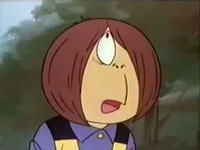 His dad (Medama Oyaji, or Daddy Eyeball) would sometimes take shelter in Kitaro’s empty eyesocket. Another important character in the series is Nezumi-Otoko, literally Ratman. A half-human/half-rat, Ratman is the ultimate anti-hero. He is supposedly loyal to Kitaro, but he has no qualms on betraying him if it means getting extra money. Ratman is incredibly stinky, not having bathed in hundreds of years, and as a result his skin is covered in welts and sores. Other prominent yokais include Cat Girl, Kitaro’s love interest (a girl with mannerisms of a cat), Sandspray Hag, an old yokai woman who throws sand at enemies, and Crybaby Geezer, who turns into stone and crushes anyone who carries him. 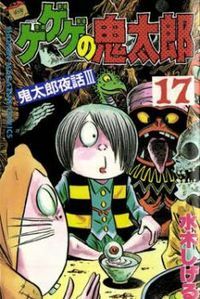 Kitaro was initially a kashi-bon exclusively until an opportunity came from Weekly Shonen Magazine. The publication fell into a dispute with Osamu Tezuka over his “Wonder 3” (aka Amazing 3 in US) manga, which was supposed to appear in Shonen Magazine to tie-in with the anime, which was to run simultaneously. Ultimately, Tezuka decided to go with Weekly Shonen Sunday, which left the Magazine an empty slot. In a desperate attempt to fill it, one of the editors came across the Kitaro kashi-bon, and offered Mizuki a contract. With that, Kitaro made his first appearance in Shonen Magazine on 1965, running until 1970. Since then it reappeared with new installments in other publications, including Shonen Sunday, ironically enough. In addition, there was a Hakaba Kitaro anime that was based on the original kashi-bon books, which was noticeably more gruesome than the later incarnations. This aired as part of the late-night noitaminA (“animation” spelled backwards) block for 13 episodes, from January 10 to March 20, 2008. Again, Toei produced this version. Since there were many anime adaptations, I’m only going to cover the first two series. The 1968-1969 series were made in black and white, and were fairly close to the manga. The character designs were streamlined in order to make it easy for the artists to animate them, which toned some things down. In later Kitaro animes, the formula usually featured the main character having to stop an evil yokai from terrorizing humans, and this 1960s series is no exception. However, there were also several episodes that featured human doing themselves in due to their misguided goals. The first episode featured a boy stealing Kitaro’s magic baseball bat that hits any ball no matter what. Kitaro, in an attempt to get it back, challenges the boy and his team to beat him in a game, and if they lose they have to give their souls to Hell. An episode of the 1960s series, presented with English subtitles for easy viewing. 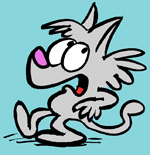 It was revived for the 1971-72 series, this time made in color, for 45 more episodes. Much of the staff from the black and white series returned for this version. Generally this was more of a follow-up to the first series, although Kitaro was very much a hero now. This was even pointed out in the first episode of the new series, where it was stated that the Kitaro we originally knew are “dead”. Of course, he was fine, just with a less anti-hero personality. One thing that struck me is the beautiful color styling, as if the artists can finally let themselves go loose, no longer having to deal with the limitations of the gray pallet in the original series. 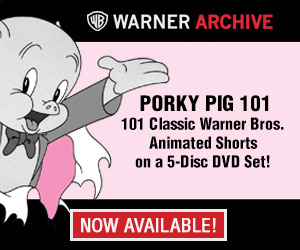 All five series has been always available in numerous home video formats, and are still in reruns occasionally. Drawn and Quarterly released the original manga into English, ensuring that the legacy will go on. “Ge Ge Ge” is a weird cackling noise, like a Japanese equivalent of witches’ “He he he”. In the manga, the stories would often end with a sound of “Ge ge ge” in the wind as Kitaro leaves the scene. And of course here I am thinking it was the sound one makes if they were trying to talk while shaken with fright. I learned something new today! I first heard about this series from Jonathan Wojcik (head of Bogleech.com), but haven’t watched any of the episodes. I love the picture of the different adaptations. It can be used to show how anime had changed over the years. In some way, you can see how techniques and approaches were handled in each based on budget and skill employed. Hakaba Kitaro was released on DVD with English subs but only in Australia courtesy of Siren Visual. Apparently a few compilations films commisioned by Toei were made from the 90’s series and dubbed into English by William Winckler but they haven’t been made available here unlike his other Toei compilation films. More of his comics are being translated into English and he’s already picked up an Eisner award for “Onward To Our Noble Deaths” decades after the fact and he’s still working in comics to this day. I’ll look forward to when his books containing all his Yokai illustrations get an English release. At one point in the past, the 1980’s series was subtitled in English and aired on the Hawaiian cable channel Nippon Golden Network. (in this clip, someone dubbed over the original opening song in favor of some pointless music for whatever copyright reason to get off Toei’s back I suppose). Looks like it wasn’t Madman who released that series but Siren Visual. I used to watch the B&W version when a local station played the reruns where where I lived in Japan for a while. I find I like the black and white a lot – I think it gives the series a lot more atmosphere, especially if you’re watching it in the dark at night by yourself. 🙂 More recently, TV Japan was playing the 80s version a couple of years ago. I love the ending credits, except i always have to turn channel before the scream at the end. Also, a couple of years ago NHK had a morning drama called “GeGeGe no Nyobo” which was a really interesting and fun adaptation of the biography of Shigeru Mizuki’s wife, which had a few scenes that were animated here and there, including guest appearance by Kitaro.